Getting ready for the long July 4th holiday weekend? Don’t forget the paint! 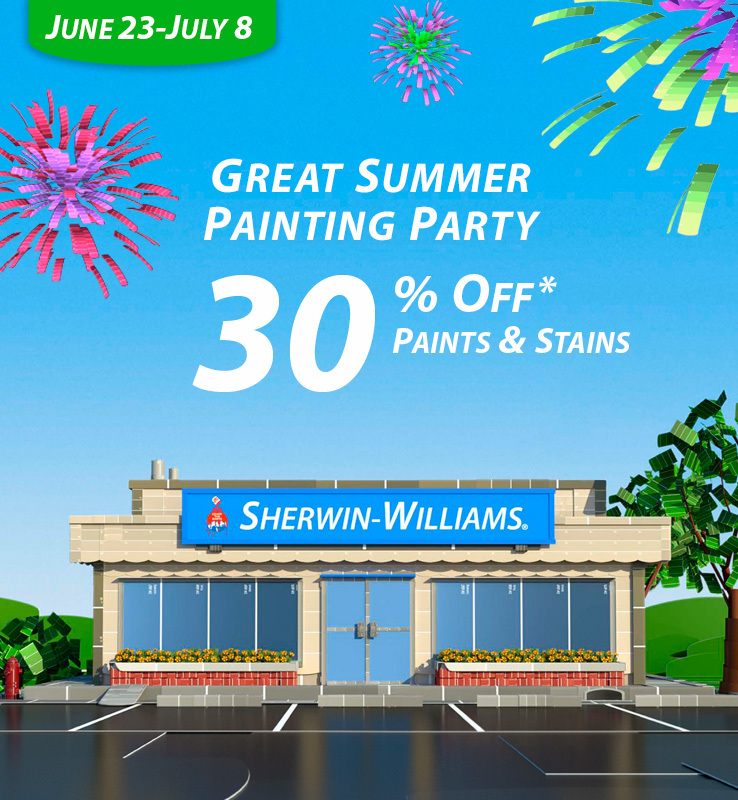 As they usually do for long holiday [project] weekends, Sherwin Williams is offering their paints and stains at a discount from now through July 8. Save 30% on both! This sale is called the Great Summer Painting Party…so, if you can get your friends and family to help you paint this weekend, good for you! What will you be painting, and what color did you choose?